Superbowl Sunday is just around the corner on February 3rd, 2019 at the Mercedes-Benz Stadium in Atlanta. Superbowl is one of those things that almost everyone watches, football fans or not, and it’s one of those things that most people don’t watch alone, if they can avoid it. Tradition calls for Superbowl parties, gatherings, good times with friends – anyone hear a Hakhel (Jewish year of gathering) opportunity here? Here’s a delicious and free offer from Shabbos House for those hosting a Superbowl Sunday game in their dorm room or apartment. 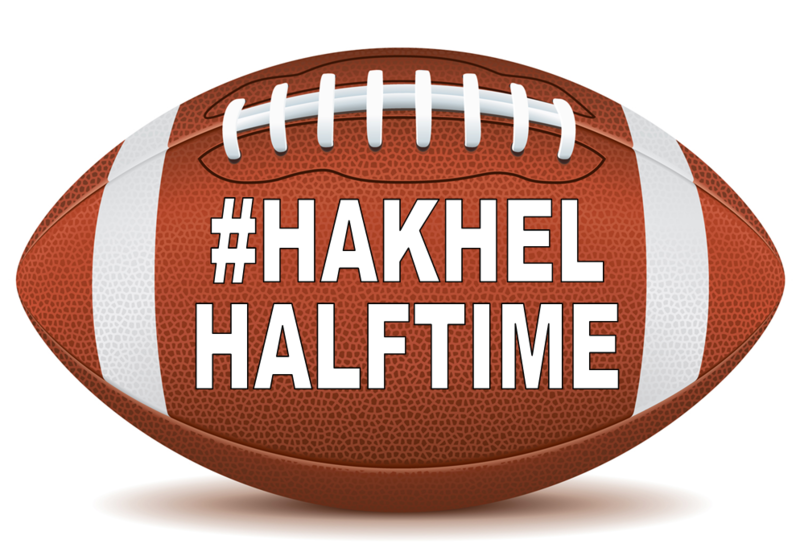 We’re calling it #HakhelHalftime but it doesn’t have to be at halftime, it can be anytime during the party, pre-game is fine, too. We’re aiming for it to be short, but impactful, like the super-expensive superbowl ads. We will give you a delicious Kosher add-on food package to your Superbowl party (and deliver it, too!) with the expectation that you share a short meaningful message (suggestions for Superbowl Inspiration included) to upgrade your Superbowl Party to a Hakhel experience. FOOD PACKAGE INCLUDES Homestyle burgers/sliders, buns, veggie plate, condiments, franks in blanks, roasted potatoes and soup. And brownies. It may not be your entire Superbowl feast but it will certainly add to your party. NOTE ABOUT HAKHEL: The Jewish Hakhel Year is once in 7 years and the last time this happened was in 2016. This year is NOT a Hakhel year but students have been asking for the return of this offer, so we’re bringing it back Hakhel or not. #HakhelHalftime package will include the food listed above plus quick suggestions for inspirational messages to share with your group (Superbowl ad length) as well as suggestions for quick action Mitzvot that can be done as a group. Sharing short Jewish inspiration and doing a quick Mitzvah will kick your party up a notch and take it to a new spiritual level.